Rheault picked up the win the prior game to our visit. He did take on some bullpen guard duty during the game. On Tuesday July 21st I traveled to Frederick, Maryland in hopes of getting a live look at Cody Wheeler and Dylan Rheault on the mound for the Frederick Keys. Being that both pitchers are members of the Keys bullpen there were no guarantees that either would pitch and that is just want happened on this day. The Keys would fall behind early and ended up falling to the Potomac Nationals by the final score of 7-0. In May of 2014 we first caught up with Dylan Rheault and featured him (CTD: Dylan Rheault) on our site. Rheault who was pitching for the Delmarva Shorebirds had a successful 2014 season and earned an end of the season promotion to the Frederick Keys. He started the 2015 season back with the Keys pitching out of the bullpen. Throughout the 2015 season, Rheault has been called upon to work multiple innings when he has been summoned from the bullpen. He has pitched 53.1 innings in his 28 appearances this season. The 6’9 right hander from Garson Ontario has struggled at times during the 2015 season including a July 9th appearance at Wilmington where he failed to record an out and allowed five earned runs. Since that appearance, Rheault has settled in and has not allowed a run in his last four appearances. Taking the July 9th appearance out of the mix, Rheault has been solid as of late allowing only three earned runs in his last 15.1 innings on the mound. Rheault had pitched the previous night before I arrived in Frederick and earned his second win of the season as Frederick defeated the Potomac Nationals 6-5 scoring two runs in the bottom of the 9th inning to earn the walk off victory. We caught up with Cody Wheeler, the Carolina League saves leader immediately following the game. We originally caught up with Cody Wheeler in June of 2012 during Chasing The Dreams first season covering players (CTD: Cody Wheeler). Wheeler was on the comeback trail returning from a torn ulnar collateral ligament when we originally covered his story. Since then we have covered Wheeler’s rise through the Diamondbacks organization and his surprising release following a successful 2014 season in Double-A. Wheeler was signed by the Baltimore Orioles just before the start of the 2015 season. During his time in the Diamondbacks organization, Wheeler transitioned from a starting pitcher into the bullpen during the 2013 season. With the Keys, the left-hander quickly worked his way into the role of closer even though he had never earned a save in his previous 60 appearances as a relief pitcher. While being the Keys stopper started out as an unfamiliar role for Wheeler, he adapted quickly and has earned saves in 16 out of 17 opportunities. In his last ten appearances, Wheeler has been dominant and has only allowing one run in his last 11 innings while earning five saves. Over the course of the season Wheeler has held opponents to a .179 batting average and has a WHIP of just 1.19. Even though neither Rheault or Wheeler appeared in the game, Wheeler was kind enough to talk with us briefly after the game. 1. Obviously at the beginning of the season, you didn’t expect to be here in the Baltimore Organization. How was the transition and is there any big differences between the two organizations? It really took me by surprise when I got the news I wouldn’t be with the Diamondbacks any longer. I was shocked and at the same time I was fortunate enough to get a call from Baltimore right after. Coming to Frederick has really been a great experience for me so far this season. Both the Diamondbacks and the Orioles systems are very similar in a lot of ways and I think they both are really relaxed. 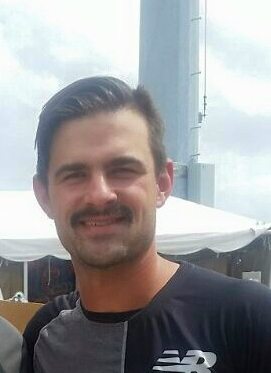 The biggest difference for me is that Baltimore has a facial hair policy so that has been a tough change for me, I can only have a mustache and can’t grow anything else. 2. Being originally from the East Coast, How nice is it to pitch a little closer to home after being on the other coast for most of your career? It’s been great. I’m not far from where I grew up, when we go to play in Potomac my whole family comes out to the games to support me. My parents don’t have to stay up past midnight listening to games like they did when I was in the California League. When you come out of the bullpen you never know when your going to pitch so now they can get to bed a little earlier. It’s definitely been great to play closer to home. 3. You started out as a starter and transitioned to the bullpen and now your closing out games. Is there any big difference for you between starting and closing out games? When I first made the switch it was a bit of a transition period but I don’t try to do too much different. I just try to keep it simple but closing out games does give you a little bit of an adrenaline rush. A big key for me has been my change-up which has been my go to pitch at times. I’m not the biggest guy in the world but if I can control my fastball and change-up I think I can get guys out at this or any level. 4. To this point in the season you obviously have had a lot of success and are leading the Carolina League in saves. Is there anything in particular you need to do or has been communicated to you to make it back up to the Double-A level? There isn’t any one big thing that they have told me and honestly I can’t really let myself worry about that. I just have to go out on the mound and try to continue to have the success that I have had. Sometimes the pitching coordinators come in to town to watch us and sometimes they will tell us some things they see or observe. A special thanks to Cody Wheeler for taking some time to talk immediately following the game on a hot a humid July afternoon. We will continue to follow the journeys of both Dylan and Cody as they chase their dream to the major leagues.